The nominations for the 14th annual IIFA Awards 2013 are out! Anurag Basu’s critically acclaimed hit ‘Barfi’ received 13 nominations, while Shoojit Sircar’s Vicky Donor bagged 9 nominations in different categories. Anurag Kashyap’s Gangs Of Wasseypur and Hrithik Roshan’s Agneepath also won several IIFAnominations. There were a few surprises – Ayushmann Khuranna was nominated in the Best Actor category, Huma Qureshi in the Best Actress category and Jacqueline Fernandes, for some weird reason, was nominated for her act in Housefull 2. 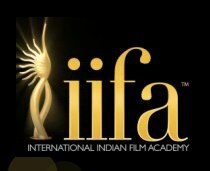 The online voting will go live on IIFA.com and audience around the world will be able to cast their votes from May 1 2013. The venue and dates for IIFA Awards 2013 will be announced in the first week of May. Only Star Guild Awards hosted by Salman khan were the most Genuine and Clean Awards this year.All others were looking fixed specially Filmfare. Gulzar also got nominated after giving worst lyrics of his life. I want proper judgement in all awards,. .
i dont understand why saans lyrics tgiven in some awards ceremony though abhi mujhme kahin and ashiyan lyrics are better. . .
absolutely agree with kiran.. hrithik truly deserved the award for agneepath. i hope he will get the award best actor award..The way he enacted the role is simply mind blowing. The expression on his face is just out of the world. Salute to hrithik for his mind blowing acting in agneepath..
y bhai is nt nominated??? these all r fake, only ghanta award is most genuine. our bhai will win lifetym achievment ghanta award someday. he rocks. Jacqueline Fernandez being nominated for her act in Housefull 2 was less shocking than seeing Srk getting nominated for his “G.one come Rizwan Khan been there and done it many times before act in Jab Tak Hai Jaan I’ll play G.one until people take me seriously” performance. I mean how many years can the same performance keep getting nominated is the real joke here. Best Film should be Talaash. Nawazuddin has to win Best Supporting Actor. Again srk is nominated and aamir is left out. what’s wrong with these awards shows? I want will be Hrithik Roshan for”Agneepath” or more want to be this time Shah Rukh Khan for”Jab Tak Hai Jaan”,but…..
@soroop You should ask IIFA and not this ‘IFFA’ organisation why ‘Jesus’ was not nominated in the Best Supporting Actor category for JTHJ…! Jesus’ role was the ONLY highlight in an otherwise boring movie.